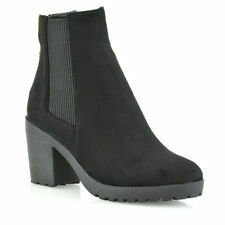 Faux Suede Booties Shoe Boots Size 4 . Condition is Worn for a hour Dispatched with Hermes Tracked. Size UK5 EU38 US7. Heel height: 1.75"( 4.4 cm ).